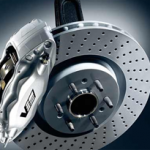 Having your brake system in top working condition is important for the safety of any vehicle. That is why we at Continental Tyres are committed to providing best brake repairs Rowville service. If you think there is even a remote chance that your brakes are not as responsive or it’s taking longer and longer to stop, it’s time to give our brake repairs Rowville specialists a call or just drive into our workshop. We will do a quick inspection, let you know what needs to be done and quickly fix it to have you on your way. 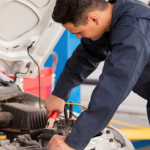 Brake problems can arise anytime without warning but if the problem is identified and brake repairs Rowville done timely, it can save you a lot of hassle and money. If identified early, most brake issues can be resolved by little more than a break pad or shoe replacement or the addition of braking fluid. 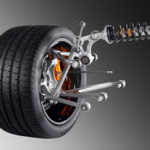 However, if ignored or without proper brake repairs Rowville, it can also affect the rotors or drums, leading to resurfacing or a full replacement if it leads to the thickness falling below manufacturer specifications. 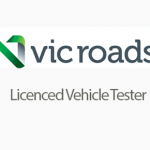 This is why; we advise all customers to drive their vehicle into our workshop at the first sign of braking trouble and have our brake repairs Rowville experts take a look. You do not want to wait for long as a minor problem can escalate into a major one. We know that a car is only as good as its components and for that reason we use only highest quality brake repairs Rowville replacement parts. 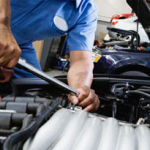 You may be enticed by other auto shops that offer cheaper prices, but be aware of what replacement parts they will be using. In most cases, using inferior parts may be cheaper initially, but they will surely prove expensive in the long run as they wear done quickly requiring more servicing. Our brake repairs Rowville service is not just cost effective but also more efficient and thorough.